Astronomers have released the first ever photograph of a black hole. Scientists used a network of eight telescopes around the world to capture the image of a vast black hole located in a far-flung galaxy. Measuring 25 billion miles in diameter, the black hole is larger than our entire solar system. The much-anticipated breakthrough was announced March 10, in a series of six papers published in a special issue of The Astrophysical Journal Letters. The black hole is 55 million light-years from Earth and has a mass 6.5 billion times that of the sun. “The image reveals the black hole at the center of Messier 87 , a massive galaxy in the nearby Virgo galaxy cluster,” said a statement from Event Horizon Telescope (EHT), the organization behind the project. 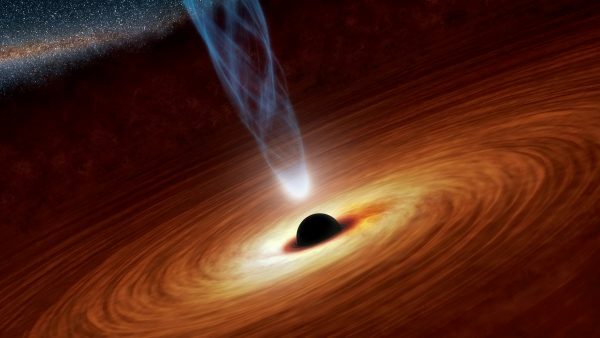 Black holes are formed by the collapse of particularly massive stars, which generate a gravitational pull so strong that not even light can escape. This, combined with the fact that black holes are usually relatively small, makes viewing them very difficult. In the past, astrophysicists would infer their existence from the movement of other stars or planets. Rather than looking for the black hole itself, scientists looked for the telltale ring they produce. 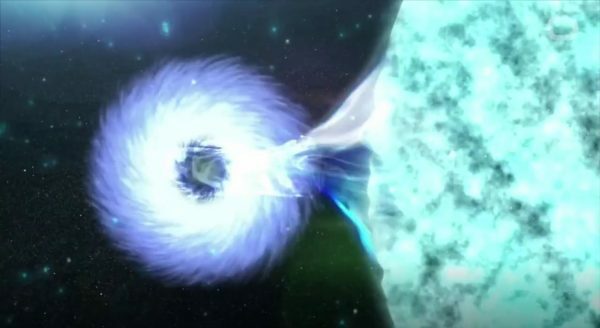 “If immersed in a bright region, like a disc of glowing gas, we expect a black hole to create a dark region similar to a shadow—something predicted by Einstein’s general relativity that we’ve never seen before,” explained EHT Science Council Chairman Heino Falcke of Radboud University, the Netherlands. The ring-like structure in the image follows the predictions made by current theoretical understandings of black holes. The project is named after the boundary of a black hole past which not even light can escape—the event horizon. One of the challenges the team had was to find a black hole large enough to be seen. Although black holes are formed from stars at least four times larger than our sun, once they collapse, they are tiny in comparison to most objects in space. The smallest known black hole is just 15 miles in diameter. The professor who proposed the experiment, Heino Falcke of Radboud University in the Netherlands, told BBC News that the black hole they selected was one of the heaviest black holes known to scientists. The powerful nuclear reactions occurring inside stars keeps them from collapsing under their own gravitational pull. When that nuclear fuel runs out, they collapse in on themselves, which increases their density, and in turn, increases the gravitational force of the collapse.